Good evening. Thanks for stopping by. Tonight I am showing you a card I made using a digital image from Delightful Inspiration. I colored the image in using my Spectrum Noir markers. 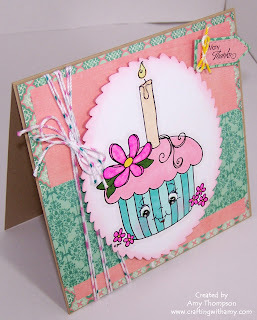 I inked the edges using Spun Sugar Distress Ink, stamped the image using MCT Teeny Tag Greeting stamp set and dies, this pretty paper is from Teresa Collins Spring Fling 6x6 paper pad. I wrapped some home made twine around and made a little yellow bow and attached it to the tag. 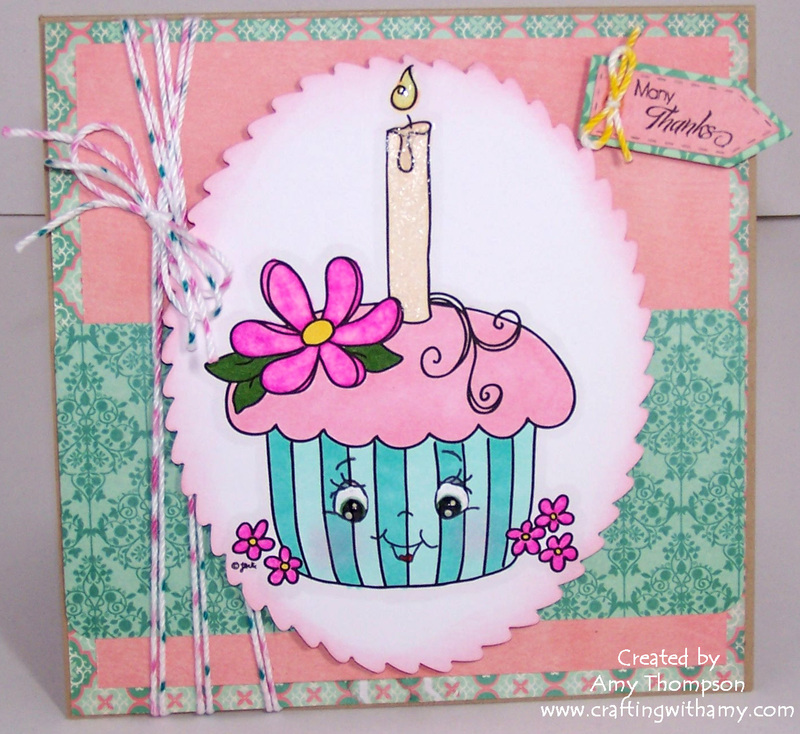 this is sucha sweet card !! love the colors of the wrapper too !! thanks so much for participating this week at Peachy Keen!!!! OMGawsh!!! This is FANTASTIC!!! I love the soft colors and the layout...SO PRETTY!!! Thanks so much for playing along with us at PeachyKeen!!! 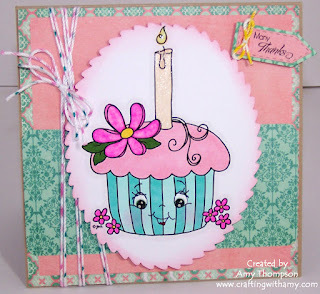 What a cute image and card! Love your coloring! !